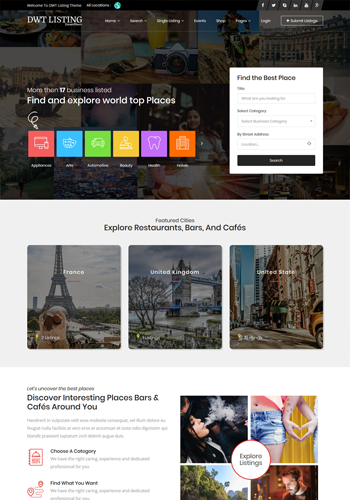 DWT Listing is largest and full of features Directory business WordPress Theme have unlimited possibilities. 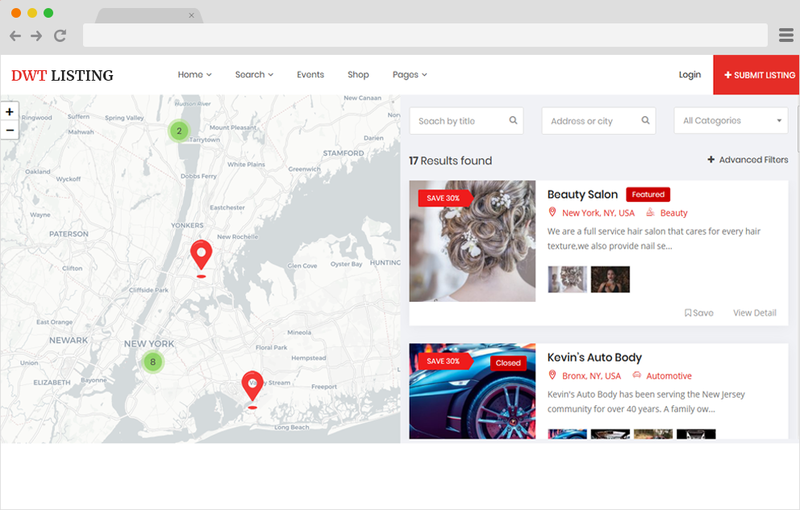 DWT Listing - Directory & Listing WordPress Theme provides 11 ready to use stunning pre-made website. 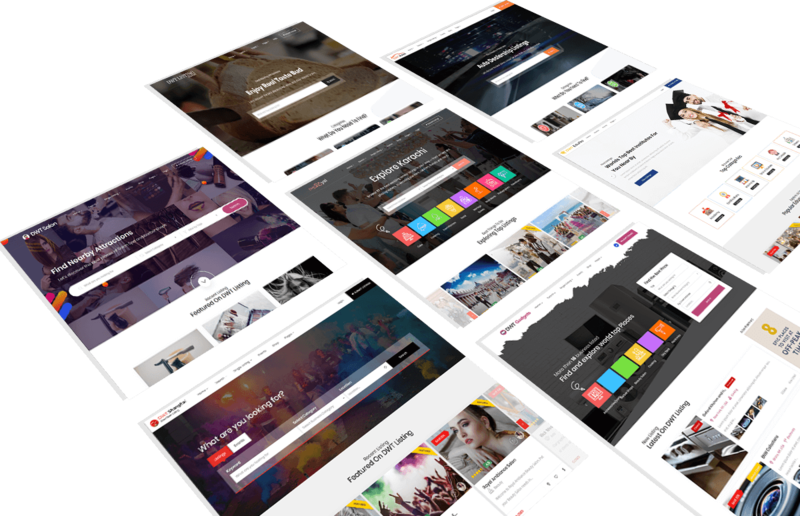 Choose the one you like best and start customize it to your website. Do not miss your customers from android & ios devices to facilitate them with most convenient way to promote your business with Apps. Take a step ahead from your competitors. 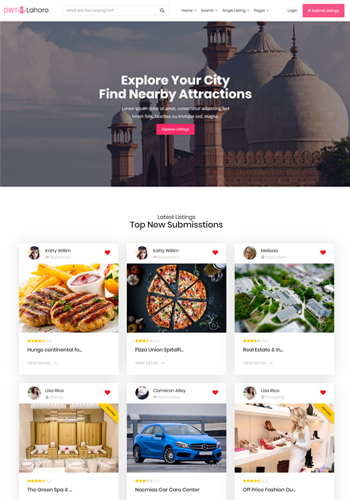 Most awaited Directory Listing Theme! We have built DWT Listing by focusing basic to advance need of directory listing owners, so that they can get maximum banifits. Earn money from posting different type of listings features & packages. 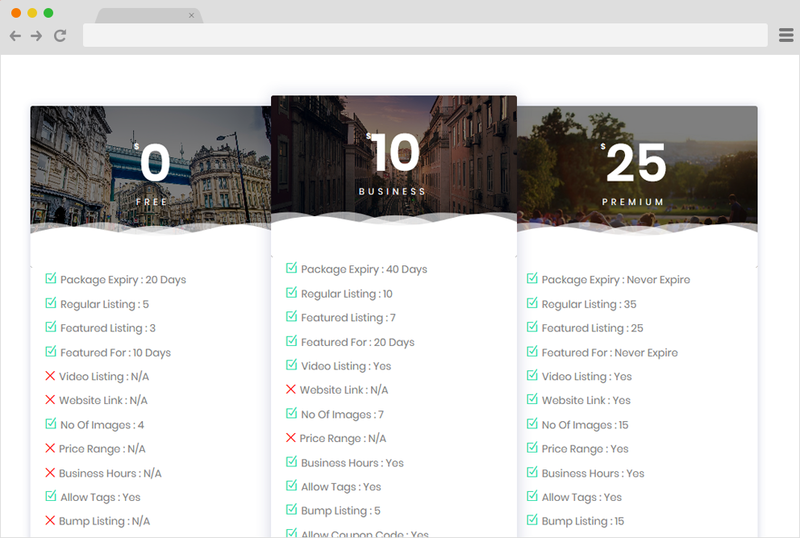 Create different listing submission packages. Field visibility based on package. You can post events with countdown timer. 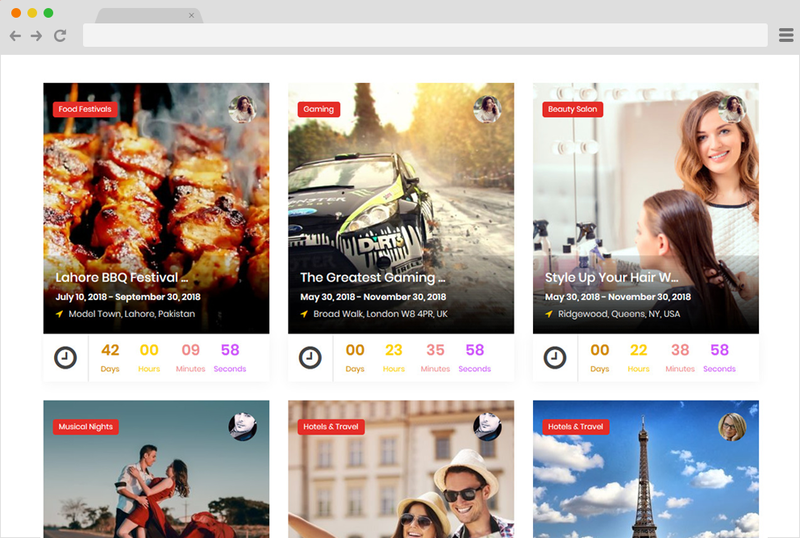 You can allow your users to post events free or paid. 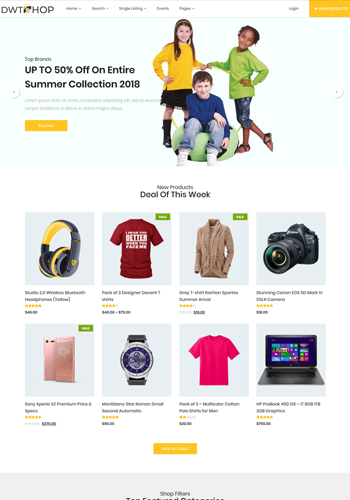 Discounts and Coupon Codes optin is also available. Listing owner can apply coupon code and give his user discount as well. Can be paid or free. Will be visible on detail page. 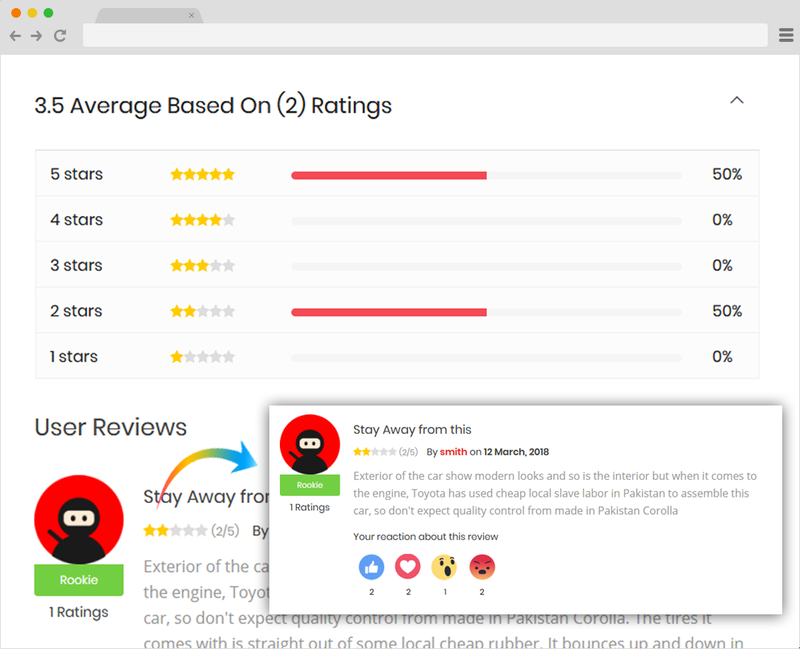 unique and elegennt review and rating system also availabel with reaction option to the viewers. 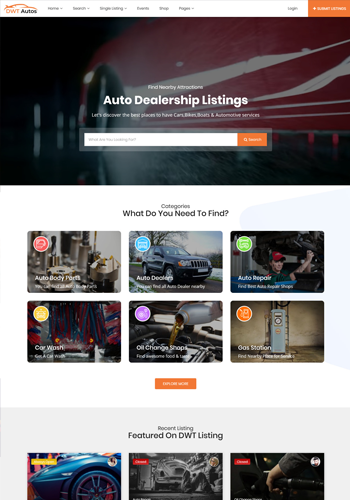 Listing search page with map also available with listings on map. Multiple listings on same location . 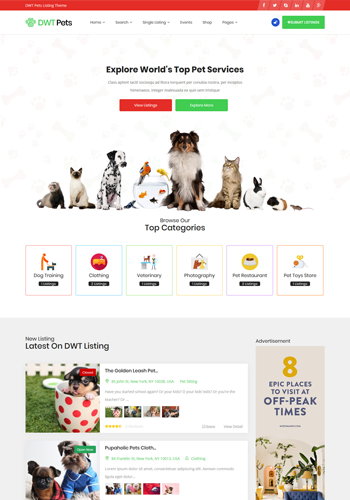 Following are more key features which will make DWT Listing famous in the online market. 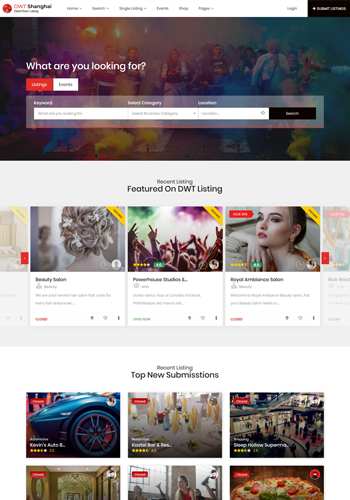 DWT Listing is a Premium WordPress theme that contains all the features you need to build a fully functioning listing websites. 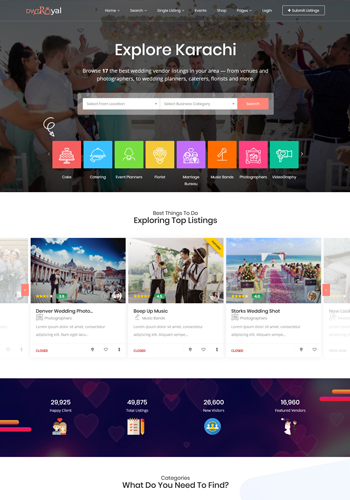 Our directory theme comes with versatile & powerful features with RTL Support as well. 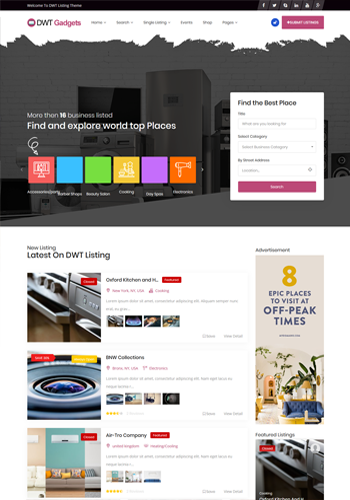 If you want a feature rich themes that incorporate everything, DWT Listing is the best choice. 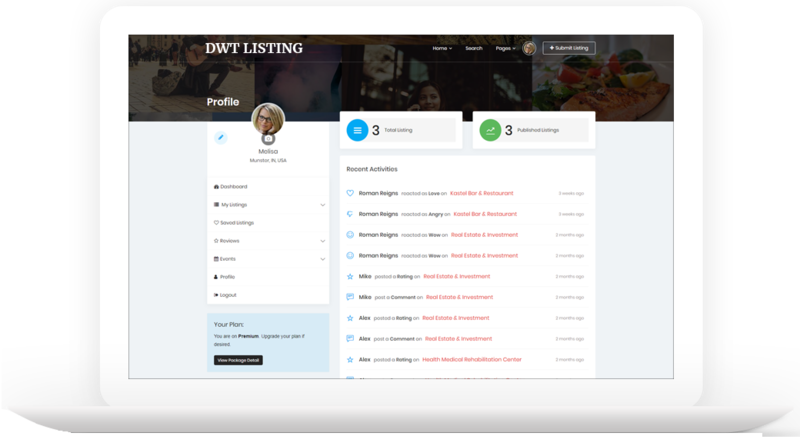 DWT Listing has complete dashboard for users to manage all their listing events and view analytics regarding their listings. 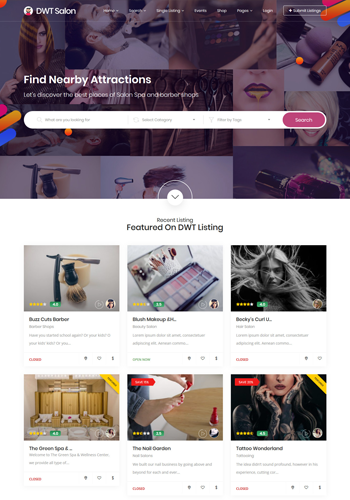 Through elegant end Unique frontend dash baord, user can esily manage their listing comment and reviews from their dashboard. 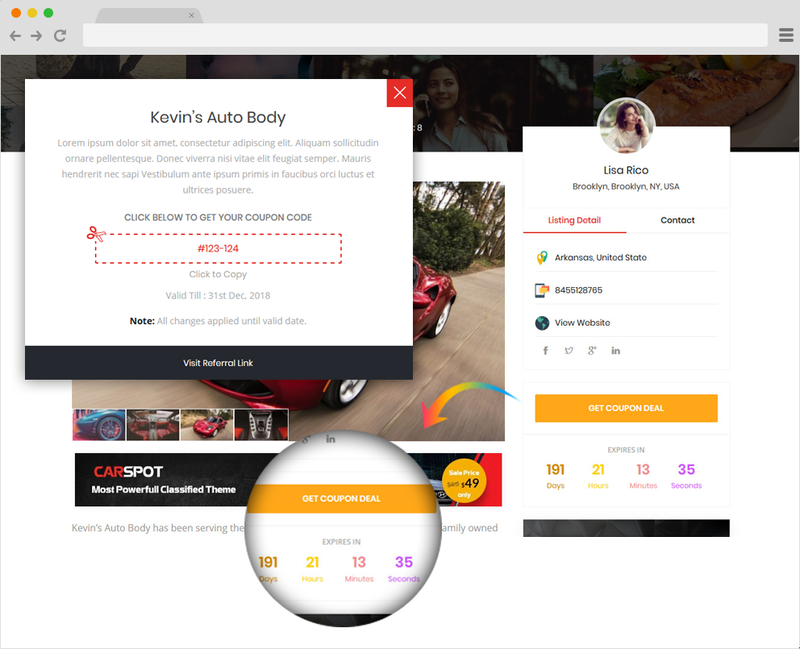 Users can post events directly from their dashboard. 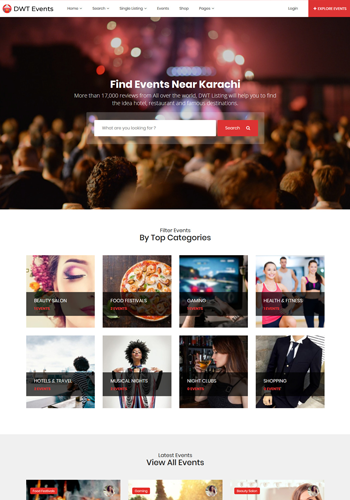 Events can be posted with respact to listings and as well as stand alone. Users will receive recent activity notification and can view detailed analytic by visiting his listing from dashboard. 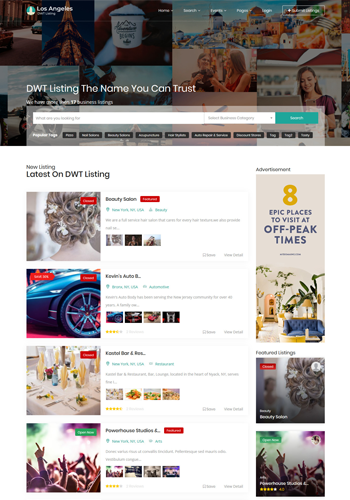 DWT Listing includes complete shopping module. You can set up your own online store easily. 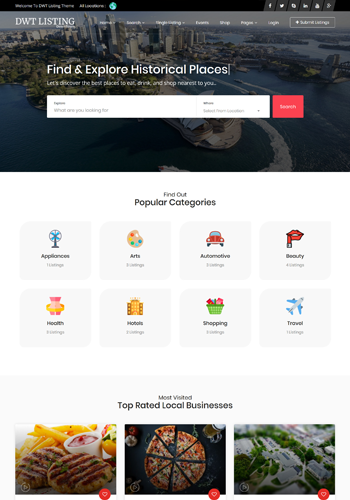 We have complete demo for shopping website as well. 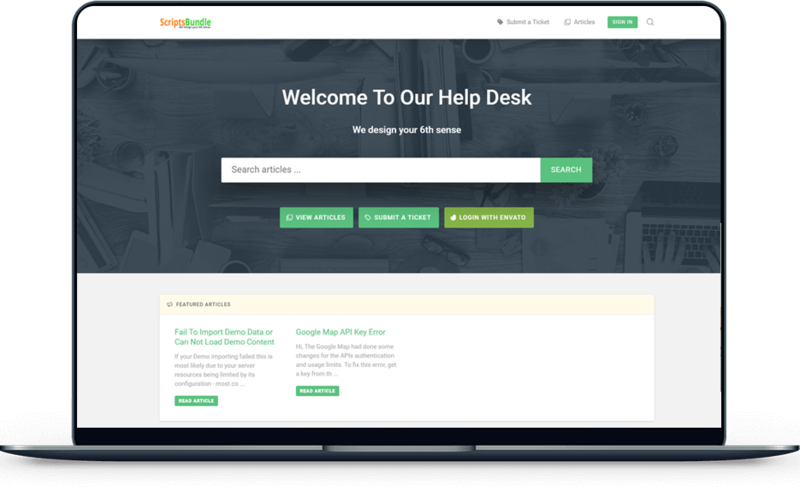 If you have any problems with our theme or just have a question you can’t solve with the documentation then contact our support team. If you have any problems with our theme or just have a question you can’t solve with the documentation then contact our awesome support team or submit your ticket. We've got extensive documentation to make this theme simpler More than +1 articles. Read the documentation and learn how to make the most of your theme. 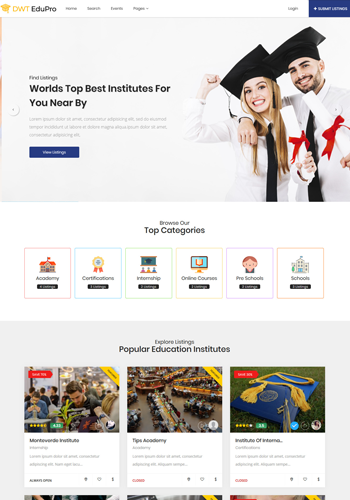 If you have any problem while configuring the theme then don't worry we are here to help you.Watch our video tutorials, step by step instructions to set up the theme. .
At the end of the day, its best directory listing theme that include almost all the required featured that you need while creating a directory website. Subscribe here, you will be notified when mobile apps are available for sale.